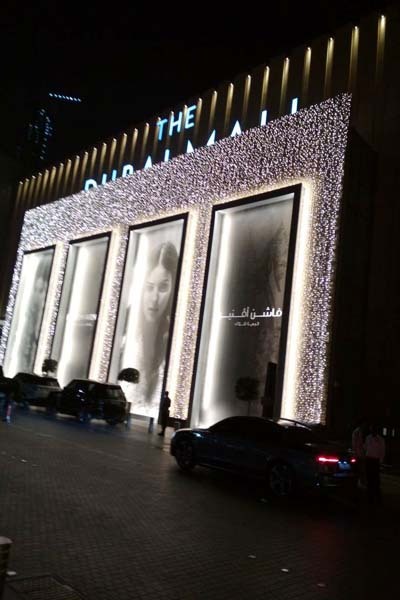 Trip to Extravagant DUBAI - Ghumakkar - Inspiring travel experiences. Dubai is synonymous to “Opulence”, very place is grand be it malls, beaches, roads, deserts, buildings or architecture. Our trip to this exotic location was planned for the last week of February The weather during this time around is pleasant with occasional showers. We travelled by Indigo Airlines which gives an option of getting the visa issued incase round journey is booked by them. All said and done we boarded our flight to reach Dubai airport which takes about 3.5-4 hours. The city looks beautiful in dark illuminated elegantly all the way through Sheikh Zabeel highway. One structure that gleams from every crossroad of the road is The Dubai Frame. It can be seen exquisitely overlooking the entire city comprising of a 150 meters high and 93 meters wide structure standing tall in the Zabeel Park. The interesting thing about the frame is that it gives a holistic view of Dubai. 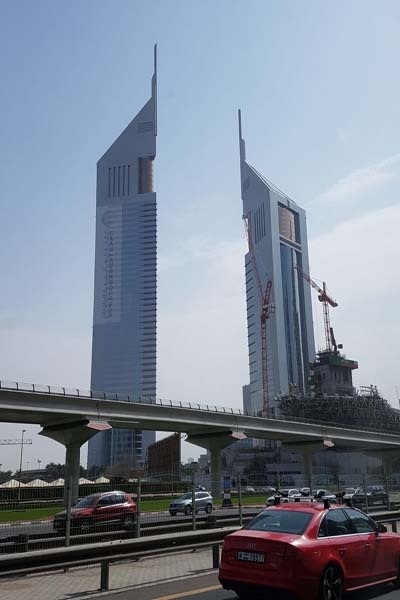 Visitors can see the modernistic new gen Dubai on one side while the ancient old Dubai on the other. 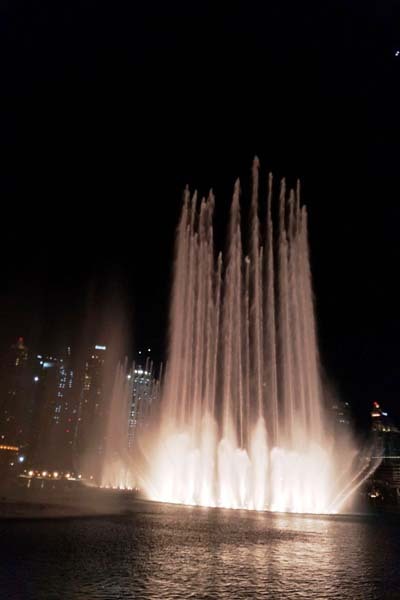 Our day came to end an with the spectacular light and water show popularly known as the Dubai Fountain at the Dubai Mall with the iconic “Burj Khalifa” in the backdrop. The show starts at about 6:30 pm every evening and continues till about 11 pm. 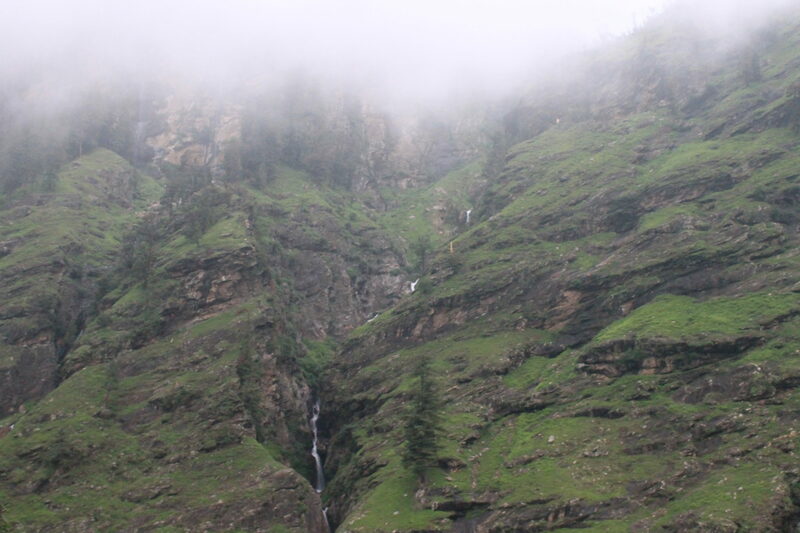 The spectacular display attracts tourists in scores every day. The next day we visited the Burj Khalifa this time around it was a trip to the 125th floor of the grand technological marvel. 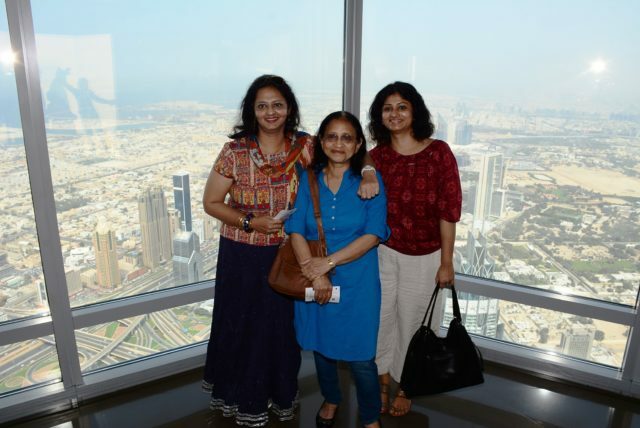 the “At the Top Observation Deck” which is open for visitors, the world looks miniscule however one can witness the well laid roads and water bodies of Dubai. 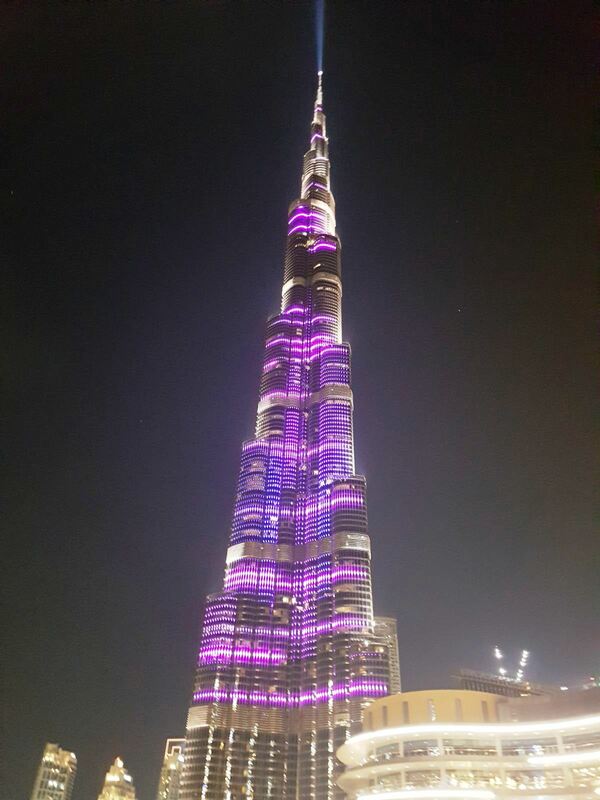 The beauty of the place is mesmerizing and one can opt for photographs which are later photoshopped to add to the excitement of visiting the Burj Khalifa. Burj khalifa is flanked by another equally illustrious marvel “The Dubai Mall”. The Mall houses almost all the major exquisite brands and is huge in its expanse covering around 13 million square feet and close to 1200 shops. It is visited by millions of visitors from across the globe every year. The mall houses about 125 restaurants, underwater zoo and aquarium, multiple consumer brands, luxury hotels, skating area, and host of other attractions. Our next stop was at the Underwater Aquarium and Zoo after a sumptuous lunch at one of the Indian joints. 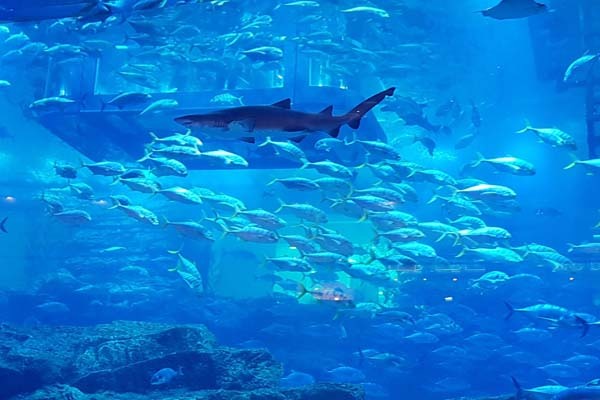 The aquarium can be seen from outside while walking through the mall; yet it is an enthralling site to be surrounded by numerous species of fishes from the smallest to some of the biggest sharks and sting rays. Image: Underwater Aquarium Besides the fishes, other equally captivating exhibits include white owls, octopuses, spiders, scorpions, beavers, penguins and exotic birds to name a few. To summarize it was a magical experience to witness a forest nestled inside the safe premises of a mall. I visited Dubai twice, first time in 2007 and then again in 2015. Having friends living there helped a lot. 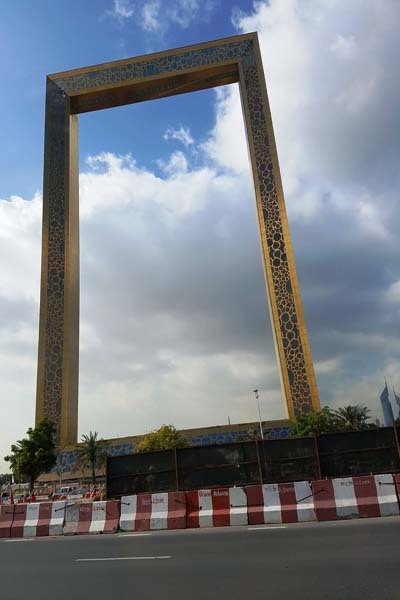 I do not recall seeing ‘Dubai Frame’, looks majestic. I still wonder that Dubai with very little of oil could do so well in ensuring such a great infrastructure of roads, airports etc while we still take so much time. Thank you Mala. Looking for part 2. 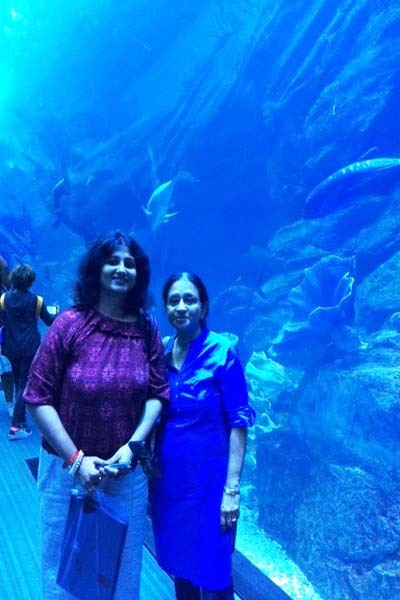 Wow…Dubai is really very beautiful…thoroughly enjoyed this Dubai Diary with Mala Raman Ji.